This resource was originally produced by Consumer Affairs Victoria. It contains a series of applied learning, practical activities, investigations and lessons suitable for secondary school students, including VCE and VCAL classes. Each of the sections addresses particular consumer and financial issues that affect young people today. Download the resource for free. 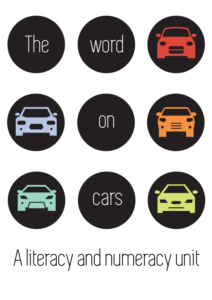 A literacy and numeracy resource based around owning, driving and running a car. Activities include car-related numbers, speed, data and graphs, time and parking, petrol and car-related costs, and writing about and reviewing cars. There are also cooperative logic problems. 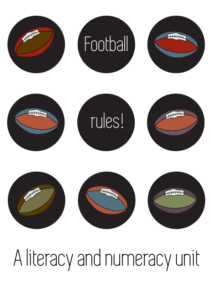 A literacy and numeracy resource based around Australian Rules Football. Activities include views and opinions of sport, surveys and statistics, researching the game, scoring and ladders, reporting on a game and football tipping. Rethinking Assessment is both a practical and theoretical resource. It discusses key assessment issues, provides a bank of models of good practice in assessment and demonstrates how holistic assessment can be undertaken within the assessment criteria of accredited frameworks. Suggested observation and recording sheets are included where appropriate and samples of student responses are discussed. Originally published by Language Australia in 2003. An hands-on activity using barcodes.